Take the Book Pilgrimage 2012! I wanted to get this up in time for those of you who are now planning summer vacations, summer camps, etc. It is the Book Pilgrimage 2012 Challenge! Basically, the challenge is to read a book, or books, and then visit (make a pilgrimage!) to either the location where the book is set or to the author's home (or grave). Then, blog about the book and the book pilgrimage! There is a Mr. Linky below. Here is an example that includes one of my plans for this summer. I am going to re-read that best seller of the 1800s - "Uncle Tom's Cabin." Then, I am going to visit the Harriet Beecher Stowe House in Cincinnati, AND I am going to Ripley, Ohio, BECAUSE there really was an Eliza and she really crossed the semi-frozen Ohio River at Ripley and went to John Rankin's house, a stop on the underground railway! So, I am going there and I am going to stand at the spot where she crossed and take pictures. 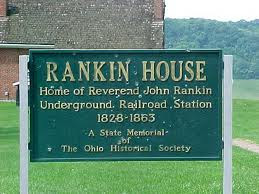 And, I am going to visit the Rankin House. The thing is, this is convenient for me because all of these locations are less than an hour away. I will also be in Florida and time permitting, I will read "Cross Creek," and visit the Cross Creek State Park. The point that I am trying to make is that you do not have to make a long pilgrimage - unless you want to do that. There are great sites to visit in every state and country! As a matter of fact, I am hoping to hear from book lovers in other countries to learn about places and authors that I have never heard about. So, if you do not plan to go anywhere, find something local! And, if you are planning a vacation, see whether you can include a book pilgrimage. Or, go all out and plan a pilgrimage as a stand alone trip. I know a lot of Twilight fans have made special trips to Forks, Washington, the setting for the books, and I would love to read about one of those trips! Here is a link that has a lot of ideas - Europe is at the beginning, scroll down for South America, and then the United States. You can also google the park or historic societies in your state or country. Also, please keep checking back here by hitting the "Pilgrim's Badge" on the top of my right column. 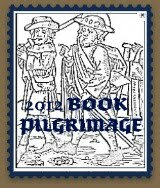 I am going to share book pilgrimage ideas as I find them, or as people share them with me. One of the things that I am going to look into is the fact that I have heard that there are big plans at some of the Laura Ingalls Wilder sites around the country! Also, I do not know much about this, but I heard that there is a big push to save Edgar Allen Poe's house, which is, or was, facing demolition(?) Here is a list of American authors' homes I recently found. 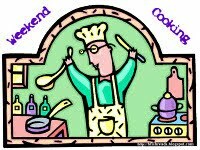 Stay tuned!!! I'm so excited!! I'm going to give this a try!! I will be on a Danube River cruise in May. Perfect. You know there is a book called "The Danube Pilot" by Jules Verne about a Danube River cruise!! Nice idea! I do something like this as a personal reading project, but it's focused more on the place, while yours is more on the books. May I still cross over some posts? Yes! I love travel and reading and I would love to read your posts and share them with the others! I really like this idea. I'm already thinking of places to go and books to read. Thanks so much, Libby, for that suggestion of the Danube Pilot, I'm going to check it out now!! You're welcome. :). Let me know how it goes! I just added my first linky on this topic. I will come back and update as I read some (not all) of these books set against our Danube river cruise. Thanks, Sheila! Maybe you can participate(? ); are there any literary gems in the area where you live? I'm definitely going to consider this. Last year I did a post with photos of a place I visited because I read a book that took place in that town. I love this idea. What a fun idea. I went for a book pilgrimage a couple of years ago for The Gargoyle and blogged about it. This was such fun. I need to think about this and if I come up with some ideas, I will come back here. This sounds like fun!! We will go to the north of Spain (el Camino de Santiago) so I guess this totally fits into the pilgrimage thing, right! I do have quite a few exams to pass before that date so it's still toooooo faraway in the future for me to think about it. I will keep it in mind though! What a great idea. I shall be in Australia in the Autumn, so this is perfect! Hey Julie! That sounds like a great trip. I have never been to Australia. Have you been before? There are probably a lot of good books set there! I wonder whether there are any historical author's homes in the part where you are going? This looks like fun. I am hoping to find a novel set in the North Georgia or Pensacola Beach, Florida areas. Will start my research! Glad you are doing it!!! Try the Luanne Fogarty mysteries maybe(?). What a great idea, Libby! I'm going to give it a try.. I'll link up with a post soon. Thanks for the suggestions, Libby. I have a lot of choices, I'm sure. I'm probably most curious about reading books that take place in Iceland since it is a more obscure place to visit. I found a few murder mysteries.. not sure if that would put me in the right mood for vacation! haha! You will spend your vacation locked in your hotel room in Iceland if you read those...we can come up with something else...hmmm...now I am interested in books set in Iceland too. I will see whether I can find any! And, his home is now a museum: From wiki: Laxness built a house for himself and his family at Köldukvísl, and named it Gljúfrasteinn. That house has now been turned into a museum. In his later years, the author wrote the book Í túninu heima (Home in the Hayfield), in which he described his childhood experiences at his home in the Mosfellsdalur valley. Sounds like Laxness was a prolific and successful Icelandic writer. Thank you so much for digging around for me! I'm considering "Independent People" and will certainly let you know what I decide to read. I suppose I can count NYC, too. I'm about 45 min by train and do go in for various events, shopping, museums, etc. So day trips, but still.. more possibilities. There are hundreds of more possibilities in NYC! Have you read "King of the Confessors" by Thomas Hoving? Well, any of Thomas Hovings books... He used to be head of the Met. I like his writing... The stories of acquiring different pieces of priceless art are REALLY good! Thanks for the Hoving recommendation. I haven't read any of his books but did read up on a few of his books on goodreads just now. They sound interesting! I don't know why but I really liked them AND now I HAVE to go to the Met at some point. He talks about how he acquired all this art and where it came from. So, I know all these details - but, I have never actually seen any of it! "The Catcher in the Rye" is partially set in Central Park. It would be cool to read and then go to the carousel! This link has EVERYTHING literature-related in NYC...some amazing maps and figures and info...Now I want to go too! Libby you are making me feel horribly lacking and perhaps a bit unappreciative of how fortunate I truly am to live in the NY Metro area. I have lived in this area all my life [I'm 43!] and have only been to the Met ONCE! ... and it was so long ago that I barely remember! How embarrassing! I promise you I will try to remedy that sooner rather than later. As for "The Cloisters"--I know where that is and think one of my daughters may have gone their on a school field trip. It is a popular field trip destination for schools around here but again, I'm ashamed to admit I have not been their either! It's less than an hour from where I live and maybe only 30min from where I grew up! Isn't that horrible? I'm going to suggest this as a family outing to my family this summer. Thanks for your help and motivation, Libby! I hope you're able to visit the area someday soon and check it off your bucket list! Thanks, Christine, and don't feel bad. I think that it is really common for people to not visit destinations in their own areas. How is everyone else doing with their Book Pilgrimage?